You are a specialized supplier. Your clients value your expertise, your commitment to deliveries, and your flexibility. Your day-to-day is complex. You need to prioritize and make changes about your planning at any time. You need to ensure that your budgets guarantee the profitability of your business. You need to manage efficiently the materials, costs, time, and consumption. Lantek puts at your disposal its full portfolio of products, which allows you to respond better to your clients. Capable of integrating with all of the systems you have already implemented, Lantek includes those belonging to your suppliers and clients. Our solutions adapt to any production environment, are compatible with all existing cutting and punching machines, and have the fullest range of functions, which will give you total control over your company´s production, as you demand. Discover the extent to which Lantek solutions are capable of improving your productivity and competitiveness. Lantek covers everything in your value chain you need for your customers. Control of raw material stock by format, thickness and material, management of scraps, detection of stock breakage, and management that allows your purchases to be made at the right time. Prepare your quotes precisely, using Lantek specialized set of tools. Establish comprehensive control for orders to your customers, using tracking and quality controls if you need them. Generate the tickets and invoices you need, adjusted to each delivery, and control the status of the orders at all times. 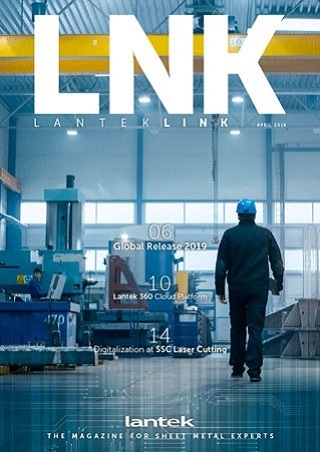 Lantek offers you the necessary functionality to have complete control over your needs, to forecast consumption and purchases, and to generate requests for material before stock breakages. In summary, Lantek synchronizes the acquisition of raw materials and components with the rhythm of the production. Control the status, location and amount of raw materials and semi-finished or finished products, even those located at your customers´ facilities, knowing the value of your stock at all times.